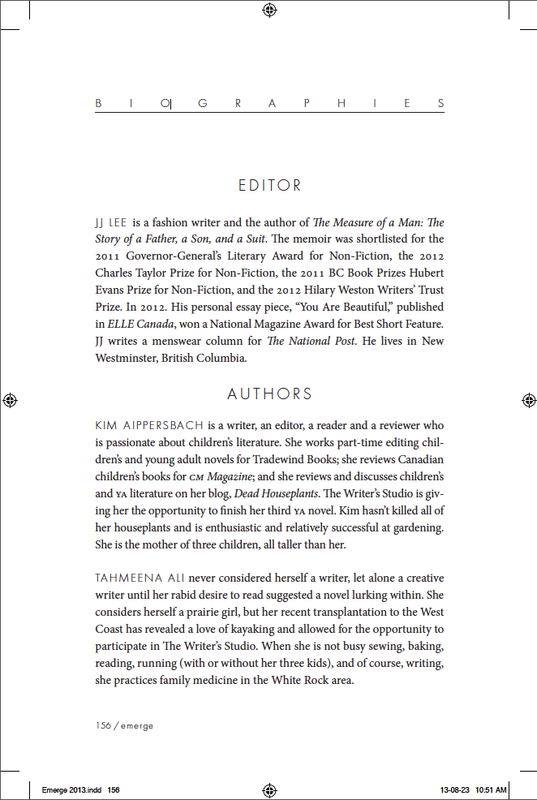 The guest editor and student bios are placed at the end of the text (the main body of the publication), which is the first part of the back matter. Roughly speaking, the biographies start around page 156, but this will vary from year to year, depending on the number of pages in the main text. The length and submission requirements for the bios are listed here.